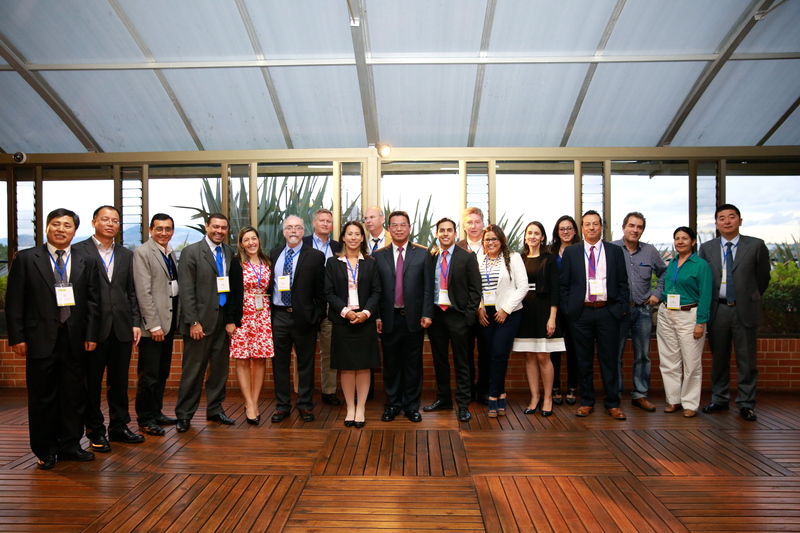 The GMI Coal Subcommittee held its 21st session on 3 June 2015 in Bogotá, Colombia. The meetings were organized and sponsored by the Colombian Ministry of Mines and Energy, the National Hydrocarbons Agency (ANH) of Colombia, the National Mining Agency of Colombia and GMI. Co-chairs presided over the Subcommittee meeting, welcoming 35 participants, including Partner Country delegates representing five countries. Monica Shimamura of the Administrative Support Group provided an update, and the Subcommittee discussed the new task force developed to propose a plan for GMI’s future post-2015. Delegates from China, Colombia, India, Poland and the United States provided updates on recent and future CMM activities in their respective countries. Several Project Network members provided updates on both CMM and CBM activities in Colombia and abroad. The Subcommittee discussed its work products and plans for the GMI Global Methane Forum in 2016. The next day, delegates attended a technical workshop featuring discussions on coalbed methane (CBM) and coal mine methane (CMM) policy and ownership issues and project development. Host country Colombia presented on the path forward for in-country CBM/CMM development and hosted a roundtable discussion with public- and private-sector stakeholders involved in the Colombian CBM/CMM markets. Presentations and minutes from the subcommittee meeting and technical workshop are now available online. In addition, the Coal Subcommittee has also welcomed two new delegates from Kazakhstan, Mr. Ruslan Koblanuly with the Ministry of Energy and Mr. Chengiz Cherniyazdanov with KazTransGaz. The next Coal Subcommittee meeting will be held at the Palais des Nations in Geneva, Switzerland on 27 October 2015, in conjunction with the 10th session of the United Nations Economic Commission for Europe (UNECE) Group of Experts on Coal Mine Methane. Register for the meeting on the UNECE website.